These papers were donated to the Annenberg School for Communications by Mrs. Worth and transferred to the University of Pennsylvania Archives and Records Center in January of 1990. 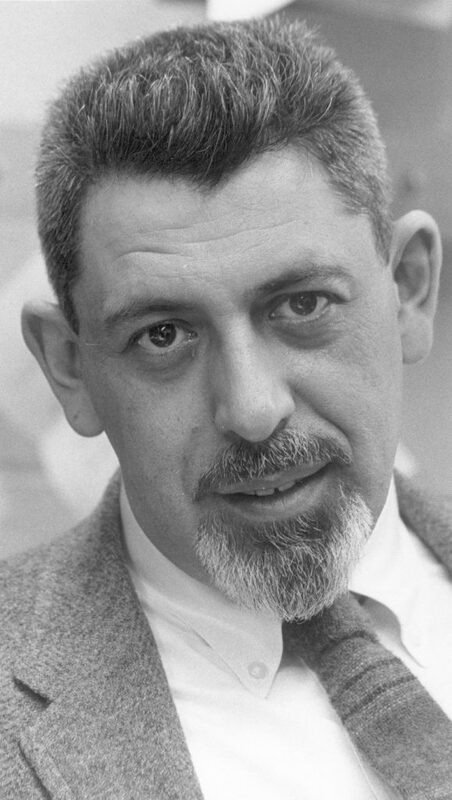 The papers of Sol Worth, Professor of Communications at the Annenberg School of Communications from 1960 to 1977, are arranged in eight series. They include: Biographical Papers, Correspondence, Administrative Papers, Professional Activities, Teaching, Research, Writings, and Photographs. The series are generally arranged either chronologically and/or alphabetically depending on the series or subseries. Please refer to the inventory for further clarification. Sol Worth was born Sol Wishnepolsky on September 19, 1922 in New York City. The son of a dressmaker by the name of Jack Wishnepolsky, very little is know of his life before he began formal education. He attended the High School of Music and Art in New York City from 1936 until 1940. Upon graduation from high school with a major concentration in art, he went to the University of Iowa. At Iowa, he majored in painting and sculpture and graduated with a Bachelor of Fine Arts in 1943. After leaving the University of Iowa, he served in the United States Navy from 1943 until 1945. While in the Navy, he was assigned to Military Intelligence at the Joint Intelligence Center in the Pacific Ocean area aboard the U.S.S. Missouri. In 1945, he married the former Tobia Lessler and together they had a daughter who is now known as Debora Worth Hymes. He returned to New York and began work for the Goold Studios in still photography and motion pictures. Working in the same firm for over seventeen years, he eventually became Vice-president and Creative Director of the studios. While at Goold, he entered the New School for Social Research where he took various courses in film production, film animation and film editing from 1948 until 1950. His scholarly abilities were well recognized during this period as he was granted a Fullbright Lectureship as a Visiting Professor of Documentary Film and Photography during the 1956-1957 year at the University of Helsinki in Helsinki, Finland. Here he produced a documentary film entitled “Teatteri,” which was chosen for the permanent collection of Documentary Film at the Museum of Modern Art in New York City. This film prompted Gilbert Seldes, the founder of the Annenberg School of Communications, to invite Worth to become a Visiting Lecturer at the University of Pennsylvania’s Annenberg School. After serving as a consultant for several years while working at Goold, Worth decided to accept a part-time position in 1960. While working at both Penn and Goold for these first few years, Worth was named the Director of the Documentary Film Laboratory and supervisor of Media Laboratories at Annenberg. In 1964, Worth decided to devote himself full-time to his teaching and research in visual communication and moved to Philadelphia to take a position as Assistant Professor of Communications. For Worth, this began a rapid ascent through the Annenberg School. In 1966, he was promoted to Associate Professor and Director of the Media Laboratories and in 1973, he was named a full Professor of Communication. During this period, he was awarded an M.A. Honoris Causa from the University in 1971, to go along with his Fine Arts degree that he had received from the University of Iowa. He was also a Visiting Research Professor at the Mount Sinai School of Medicine, City University of New York from 1968 until 1972. In 1976, after having been promoted to a full Professorship in Communications only three years earlier, Worth began a new project in his scholarly career as he was appointed the first Chair of the newly begun Undergraduate major in Communications. To a large degree, this major was created because of Worth’s perseverance and interest in the project. Worth’s promotions were, in part, a recognition of some of the outstanding research and scholarly studies that he had undertaken while at Penn. In 1966 he received a National Science Foundation grant that enabled him to instruct the Navajo Indians in the art of filmmaking as part of a study of cross-cultural communication. This research, which was probably his most famous, eventually led to the publication of a book in 1972, which was co-authored with anthropologist John Adair, entitled, Through Navajo Eyes: An Exploration in Film Communication and Anthropology. Additionally, in 1967, Worth received the Wenner-Gren Foundation award for outstanding research in communication and anthropology. As the author of over two dozen scholarly papers, he was well recognized in the fields of anthropology and communications, as well in the field of visual communication. His participation and leadership in a variety of scholarly organizations and publications was a mark of this respect. In 1970, he founded, along with the anthropologist Margaret Mead and others, the Anthropological Film Research Institute, and from 1972 through 1974, he served as founding President of the Society for the Anthropology of Visual Communication. He was also Chair of the Research Division of the University Film Association and served as the Senior Member of the Board of Directors for the Society for Cinematologists from 1967 through 1970. Finally, he served as editor of the journal, Studies in the Anthropology of Visual Communication from its inception in 1973 until his death. Sol Worth was also involved with a wide range of more broadly based organizations throughout his career, such as: the American Anthropological Association, the American Film Institute, and the International Film Seminars, as well as the National Endowment for the Humanities, the National Science Foundation, and the Smithsonian Institute. These positions were all in addition to the many committees and posts, including sitting on the University Council, which he served on within the University of Pennsylvania system. Worth was in the midst of submitting a proposal to the Guggenheim Foundation for a large-scale research project in visual communications, when he died on August 29, 1977, of a heart attack at the age of fifty-five. He had been attending a professional conference in Boston when he was stricken. The Sol Worth Papers, 1926-1977, n.d. consisting mostly of the contents of his Annenberg office at the time of his death, almost exclusively relate to his professional and scholarly pursuits. With only a very few exceptions, the materials in the collection document his activities while at the Annenberg School for Communications at the University of Pennsylvania. The Biographical Papers run from 1943 until 1977 and consist mainly of his vitaes and clippings surrounding his death as well as his college transcript from the University of Iowa. This series also contains a number of date books covering his time at Annenberg as a lecturer and professor. The Correspondence files are composed of professional correspondence with students, faculty, and national organizations during Worth’s tenure at Annenberg from 1960 until 1977. Correspondence relating to societies and professional organizations that is specifically connected with individuals is filed in this section alphabetically by name rather than in the Professional Activities series. Included in this series is correspondence with Margaret Mead and many other prominent scholars. The Administrative Papers consist of correspondence, reports, minutes of meetings, memoranda, and statistics regarding the administration of various Worth endeavors from 1963 until 1977. This series can be broken down into sections concerned with the Annenberg School for Communications, the University of Pennsylvania in general, and the Annenberg Center. The Annenberg School for Communications papers within this series are concerned mainly with general requirements, the development of an undergraduate communications major, faculty tenure review and job inquiries and applications. Worth was actively involved in the Administration of the ASC; this series, therefore, provides a rich source of information on the development of this school almost from its inception. Included are Worth’s involvement with faculty meetings from 1964 until 1977, the Committee on Instruction from 1966 until 1976, the Executive Committee of the ASC, as well as the school’s Admissions Committee. The papers within the Administrative series concerning the University as a whole cover a wide range of issues. In addition to his work with the Arts House living learning program, and the minutes from the College of Arts and Sciences Faculty from 1971 through 1974, he served on the University Senate from 1966 until 1972. This section on the Senate includes correspondence and memoranda regarding Worth’s participation in a variety of Senate Advisory Committees as well his work on the Committee to replace the Vice-President for University Life during 1973 and 1974. A particularly interesting section is the reports and correspondence from the Committee on Open Expression and Demonstrations during 1967-1968, in which he helped in the formulation of guidelines for open expression. The papers concerning the Annenberg Center run from 1965 until 1971. They deal with the building of the structure itself, as well as with the hiring and program development that occurred in the years before and after its opening. The Professional Activities series includes correspondence, records and reports from a variety of the scholarly organizations of which Sol Worth was a member or officer. 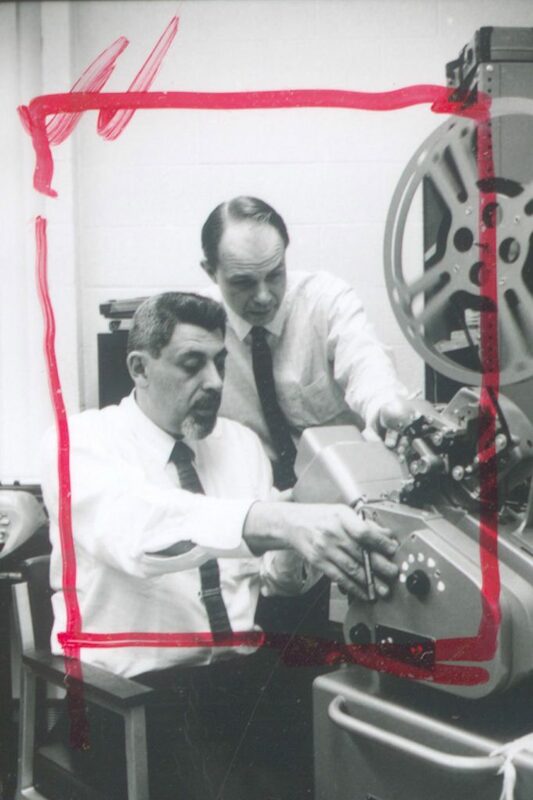 These include papers from the American Anthropological Association, the American Film Institute and the Society of Cinematologists from 1962 until 1976. Also retained are peer reviews and proposal reviews that Worth participated in for the National Endowment for the Humanities as well as for the National Science Foundation. In addition, there are included a variety of submissions Worth received from 1974 until 1977 for the journal he edited, Studies in the Anthropology of Visual Communication. Finally, there are a few files relating to specific events or programs, such as papers of the Summer Institute on Visual Communication from 1970 until 1972 and of the planning of the Flaherty Film Seminar from 1963 until 1976 under the auspices of the International Film Seminars organization. The Teaching files are composed of syllabi, reading lists, copies of exams and occasionally, lecture notes from some of the courses, both undergraduate and graduate that Worth taught while at Annenberg from 1960 until 1977. These include files from the Documentary Film Workshop, Fundamentals of Visual Communication, Modes, Media and Codes, as well as the Senior Thesis, General Honors and Proseminar classes of various years. The student files primarily consist of copies of papers and exams that Worth retained for graduate students, as well as for those students he was advising on all levels. The Research series contains administrative papers, proposals, correspondence, field notes and photographs as well as questionnaires and other research aids and reports regarding Worth’s involvement with several projects from 1963 through 1970. The largest concentration of these files is, by far, centered around the Navajo Project that resulted in his major book with John Adair. As this was a collaborative project, there are many files from Adair as well as from graduate assistants from Annenberg and Penn who accompanied Worth on his trip. Several smaller research projects that are in the collection as well, include: the Teacher-Kid Study, the Triangle-Circle Experiment, the Big “M” and Big “T” Study, Experiment “K,” as well as a few Bio-documentary projects that Worth and his students conducted. The Writings file consists mainly of Worth’s own works in their drafted as well as published form, from a variety of publication sources. Additionally, there is a section on his writings specifically on the subject of the Navajo Project. Also included in the Writings Series are a number of files containing drafts and final versions of a variety of talks and lectures that Worth conducted, with the date and place indicated where available. The Reprints and Manuscripts series contains the published and unpublished works of a variety of people other than Worth himself. These cover a wide range of sources from 1956 until 1977. Also included are bibliographies and reference guides as well as film reviews of films and programs for film viewings and plays. Additionally, this series contains some miscellaneous materials such as codes for the film card files, and a clippings file that Worth maintained. The photo series contains photographs, slides, and contact sheets from both personal and classroom photographs. Additionally, there are several oversized photos and posters that relate mostly to Worth’s classroom and lab teaching at Annenberg. The remainder of the collection is composed of a number of journals Worth collected, as early as 1926, as well as bibliographic card files and other card files that organize people, institutions and films into a quick reference system. The final series consists of legal-sized material of a miscellaneous nature that are stored in their own box for convenience purposes. Annenberg School of Communications (University of Pennsylvania). Society for the Anthropology of Visual Communication. Mailing Lists and Contact Information, , 1974, n.d.
Center for Visual Communications, 1977 and n.d.
Bio-Documentary Film Series — Proposal for CBS and WHYY TV, n.d.
Center for Research on Acts of Man — Brochure, n.d.
Com. 514: Documentary Film Lab (Ross-Gaffrey – Lab Services), n.d.
Com. 638 and 662: Visual Communication – Fundamentals and Seminar (Lecture Notes, Clippings), n.d.
Letter to George (Gerbner?) re Bio-Doc n.d. Factor Analyzing of T-K, n.d. Analysis – Blank Forms, n.d.
Word Category – Lafel, n.d. Original – scored data sheets, n.d.
Standard Deviation Work Sheets, n.d.
Word List for Sorting, n.d.
Lafal Category Practice Sheets, n.d.
Lafal Category Work Sheets, n.d.
Rokeach 40 Question – Open and Closed Test, n.d. Comments on a Theory of Bio-documentary, n.d. The Public Administrator and, or versus, the Filmmaker, n.d.
TV: A Window on Whose World? What is Film? – Lecture, n.d.
Field Notes: Robert Cohn’s HUAC Doc. Personal Photographs – Daughter, Debby, in Finnish Dress and other shots. Navaho – Prints for Book n.d.
Annenberg School of Communication Documentary Film Label Title Pages n.d.